FIRSTENBERG: Let me explain something about that... It has that sense of community because of the two female writers who wrote the script. I wasn't involved in the first BREAKIN' whatsoever--and the two ladies that wrote the sequel didn't have anything to do with the first film either. They approached BREAKIN' 2 from that community perspective. And Shabba-Doo had a lot to do with that feeling of the film as well. Really, because he felt more confident in BREAKIN' 2 then he did in BREAKIN'. 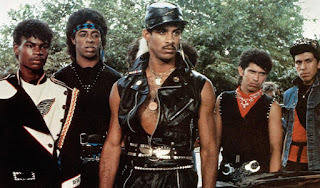 Shabba-Doo was a dancer that came from the streets and in many ways he was 'Ozone' in those movies. He came up in the street-dancing scene of Los Angeles. During the shooting of the film he always had dancers from all over Los Angeles visiting him. That was who he was. He had had a part in the film DISCO FEVER (1978). He really wanted the film to highlight the community of that time. He wanted the hip-hop dancers in it. I like stories about communities and big groups of people--so I liked the approach. 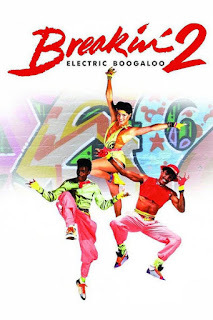 Shabba-Doo and the choreographer (Billy Goodman) on BREAKIN' 2 were good friends and they worked together to find all the dancers that are seen in the film. And all of those dancers were Los Angeles street dancers. They are responsible for that organic feeling that you mentioned. The only professional dancers we had in the movie were the four girls who played the nurses in the hospital sequence. They came in from Las Vegas, we shot that, and they flew back in the same day. TV STORE ONLINE: You've talked about how you did the 'Turbo' on-the-ceiling dance sequence in BREAKIN' 2--but was that in the script? FIRSTENBERG: No, it wasn't in the script. But it was our take on Fred Astaire's dance sequence from ROYAL WEDDING (1951). At that time, all Cannon Films went to distribution through MGM, but BREAKIN' 2 went through Columbia. We already had the music in place through Russ Regan over at Polygram Records, so when Cannon showed Columbia some of the early footage from the shoot--they got excited and bought the rights to the movie only two weeks into the shooting. Once that deal was put into place--the expectations for BREAKIN' 2 went through the ceiling. It put a lot of pressure on the film. So Menaham Golan (Producer) became more involved in the shooting of the film. He would call me over to his house on the weekend and he'd run ideas by my for the film. One weekend I went over there and he said, "I have this idea..." He's suggest things past the script. He'd want a joke added here or a dance number added here. He said, "Let's redo this Fred Astaire number..." I liked the idea because I've always loved musicals, and I knew right away how to do the sequence technically. FIRSTENBERG: I would agree with you. I think with the first BREAKIN'--they didn't know where they were going with it. They just made it and it became a success. They realized that what the audience wanted was the break dancing. And that movie created a phenomenon. There were other companies that tried to capitalize on the success of BREAKIN'. 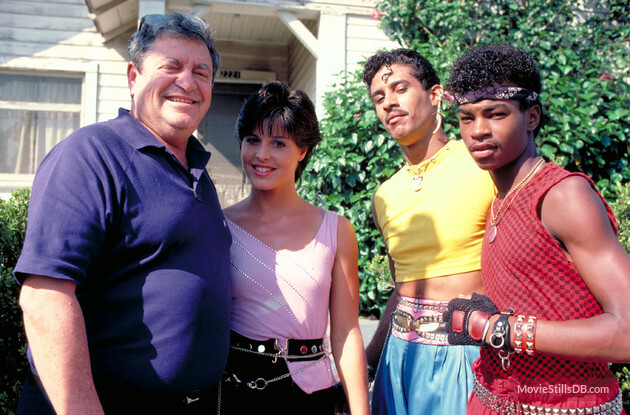 There were films made like BEAT STREET (1984) that tried to make money on the success of BREAKIN'. The most interesting aspect of the film for me was that musical aspect. The two writers and I worked together to shape it like a musical. And the movie has a bunch of singing as well. Don't forget, it's not just dancing, it's singing. We had Ice-T even! We shot the film out in the streets as well in East Los Angeles. It wasn't shot in a studio. TV STORE ONLINE: Where was the Miracles building? FIRSTENBERG: It was in Boyle Heights--east of the Los Angeles river. Today, it's one of the biggest Hispanic neighborhoods of Los Angeles. It was a synagogue, and while we were shooting you could see many symbols still carved into the stone walls inside. I believe it's still standing today and being used--and I think it actually is a community center now!